The Adventures of Captain K! ***This works with any text. It’s a strategy I learned while in PD at Empire High School. I’ve been using it for years, and it engages students while keeping them accountable during the reading of a text. I’ve used this strategy when teaching 9th, 10th, and 12th grade. ***This bundle includes 36+ Weeks of Lesson Plans for an Advanced Composition course for 12th Grade. *** The course can be taught for students that come to class on Tues/Thurs or Monday through Friday – email for any clarification. Unit Description: This unit will introduce students to various elements of Hip-Hop culture that include but is not limited to the following: art, fashion, emceeing, music appreciation, and politics. Enrichment will take place through various forms of discussion that will be facilitated via informational text, literature, poetry, music videos, video documentaries, etc. Students will infuse social elements of Hip Hop that will give them a chance to work on mastery level academic skills that include but are not limited to listening + speaking, critical thinking, critical reading, and critical writing. I think it’d be an interesting concept to infuse Hip Hop music in with the following critical thinking activities: Socratic Seminars, Levels of Questions, OPTIC Strategy, ECQs based on musical themes, and 5, 4, 3, 2 + 1 Discussion. After about three years, I’ve decided to reactivate the blog. The blog will be used for several of the following purposes: offering educational resources, posting about miscellaneous educational topics, and I’m not quite sure what else. I figured I would start off by sharing a few free resources. Who doesn’t like free? There are 9 free teaching resources, below, that I’d like to share with others. The only request that I will make is that if you find them useful, share them with others. You’re able to directly go to each individual resource, below, by clicking on the title, or you may view all of them on my TPT Store. I also have over 30 resources for sale… Enjoy! 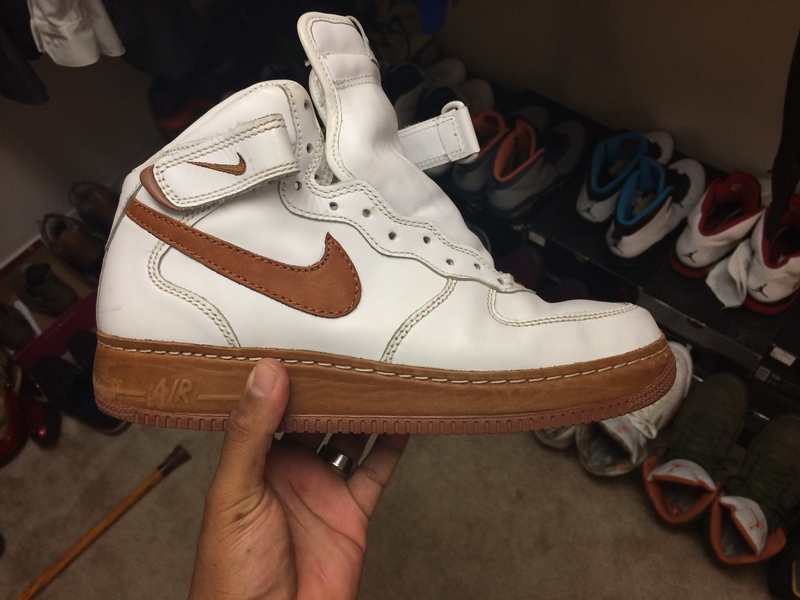 Students will have the opportunity to win these pair of all leather size 10.5 Air Force Ones. A little extrinsic reward for extra motivation, you bet… These shoes will be earned by any summer program student that wishes to participate. Participation is not required, but it is highly recommended even if you can’t fit the shoes. Once you’ve earned the shoes, you can do what you wish with them. Here are the details about how to earn them on June 19th. Any former students that may come across this blog, I want to say goodbye to you. It has been a pleasure teaching as well as being around all of you for the past 3 years! Although I have moved on to another school, I will make sure to stop by LPA whenever I get the chance. Make sure you continue to work hard and aim high. The sky is the limit. When times get hard, you keep moving! I will miss you all.